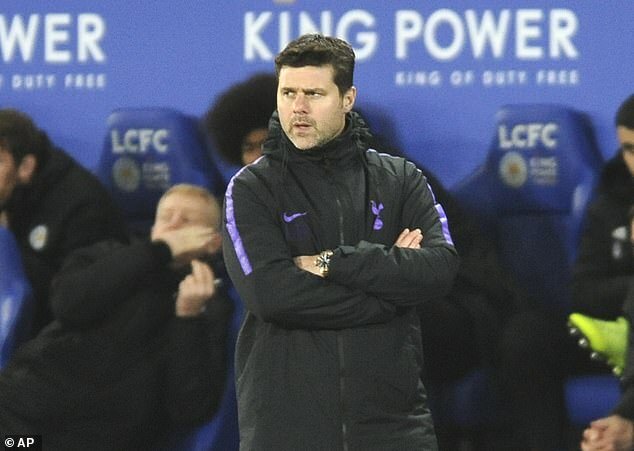 When Mauricio Pochettino takes his Tottenham side to the Nou Camp on Tuesday night he will have no problem believing they can pull off their half of the necessary Champions League miracle by beating Barcelona. He only has to recall the first league game he managed there to believe that anything is possible. In 2009, Barcelona were invincible under Pep Guardiola and Pochettino had just taken over Espanyol, who were bottom of the league. No one gave the 36-year-old rookie coach a prayer but, in the words of Ivan Alonso, who led the line for Espanyol that night: ‘We pulled off a David and Goliath victory’. Uruguayan forward Alonso – also a veteran of Alaves’ rollercoaster 5-4 defeat by Liverpool in the 2001 UEFA Cup final, scoring their first goal – was Pochettino’s only summer signing. But despite the lack of transfer reinforcements he was able to transform Espanyol’s season and beat Guardiola’s Barcelona. ‘Espanyol had not won at the Nou Camp in 27 years, it was a derby and we were bottom and they were top,’ he said. The win was a tactical success too. Teams were terrified of Barcelona at the time and most coaches set their sides up to defend deep with 10 men behind the ball. 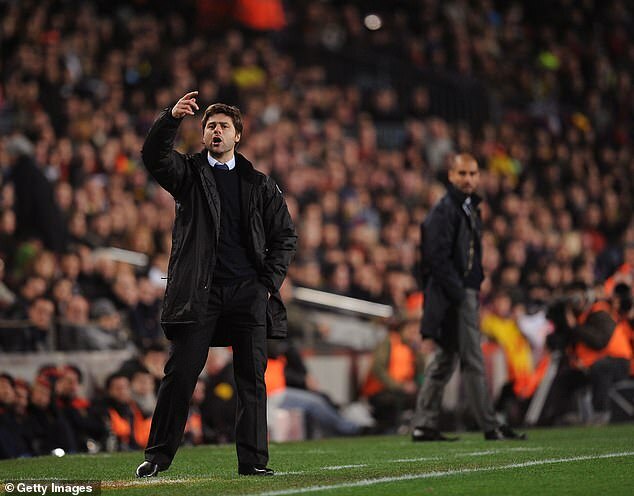 Pochettino had other ideas. From the first kick he wanted his team to press high and not allow Barcelona defenders to play out comfortably from the back. The plan was to force Barcelona to play long, decrease the amount of possession they had and get under their skins as a consequence. It worked, with the usual calm destroyed and Seydou Keita getting himself sent off in the first half. ‘The machine is human, Espanyol have won,’ roared the Spanish TV commentator on the final whistle. Alonso’s pressing of Gerard Pique and Barcelona goalkeeper Victor Valdes led to the second decisive goal scored by Ivan de la Pena, who also got the first in the 2-1 win. The next trick was to make sure that, when the ball was won back, it was played quickly forward before Barcelona could put into action their six-second rule of winning it back. Espanyol celebrated their famous win and it banished any doubts over the young Pochettino. 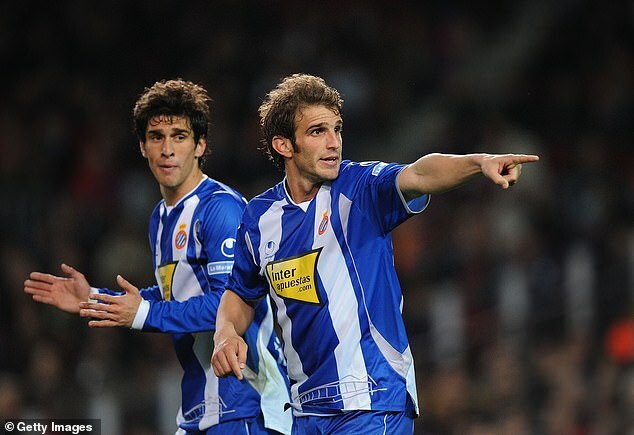 Not that his youth was ever a problem for him at Espanyol, according to Alonso. Alonso should be announced on Sunday as Nacional’s new general manager. The 46-times Uruguayan league winners and former club of Luis Suarez held their elections on Saturday. On Sunday thoughts will be on his new challenge and on another of his old clubs River Plate as they play the Libertadores final. But Tuesday, like any good former Espanyol player and any old pal of Pochettino, he will be hoping for February 2009 all over again.